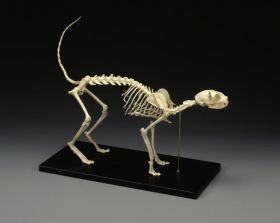 An anatomically accurate composite (plastic) model of the skeleton of a cat featuring a removable tail and skull with jaw on springs. 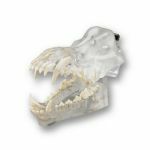 Please check out our PROFESSIONAL GRADE "Real Bone" Canine, Feline, Equine and Bovine Skeletons, (Mounted or "Disarticulated" Bone Sets) also listed . 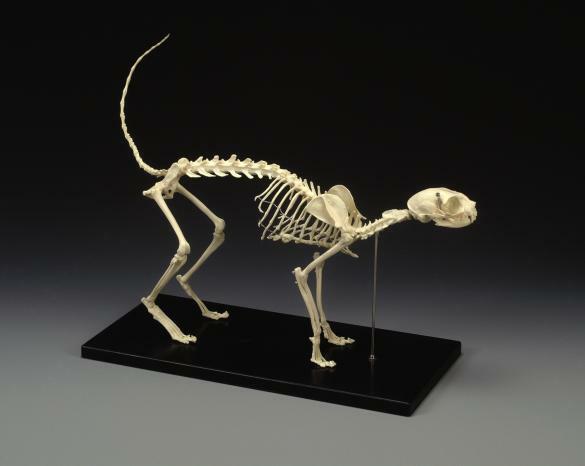 Recommended for scientific research and education. 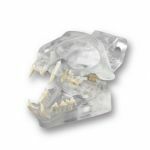 We also offer many other Professional Veterinary Models including the complete Canine Skeleton, Feline Jaw with Teeth, Feline Heart/Lung, Clear Feline Jaw with Teeth, Canine and Feline Anatomy Flashcards, Canine and Feline Anatomy Posters, Canine Knee, Canine Pelvis, Canine Elbow, Canine 5 pc Vertebrae, Canine Heart (with heartworm), Canine Jaw (with teeth), Clear Canine Jaw with teeth, Canine Shoulder and Equine Models.